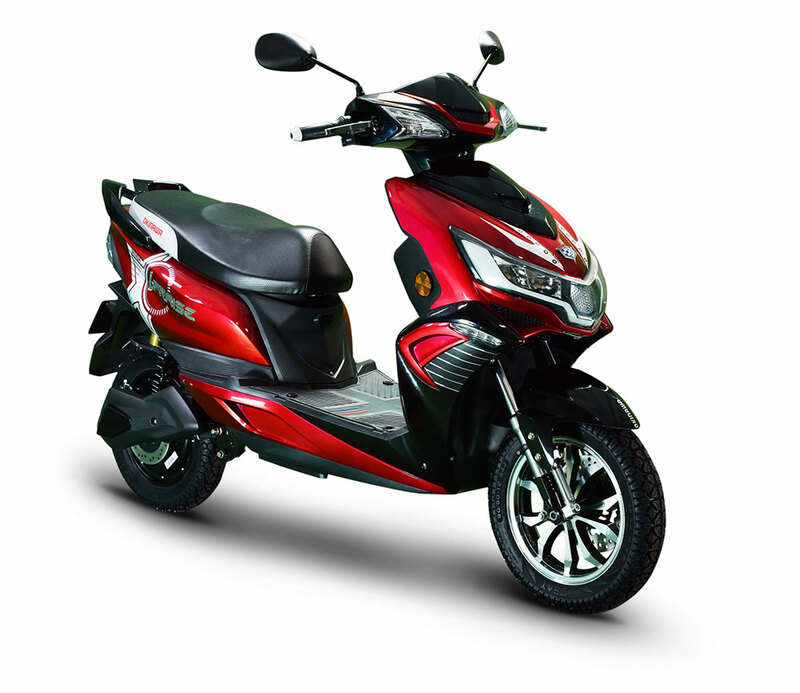 Okinawa Scooters, India’s fastest-growing electric two-wheeler manufacturing company is ready to launch its newest e-scooter that will completely disrupt India’s EV market, the Okinawa i-Praise. 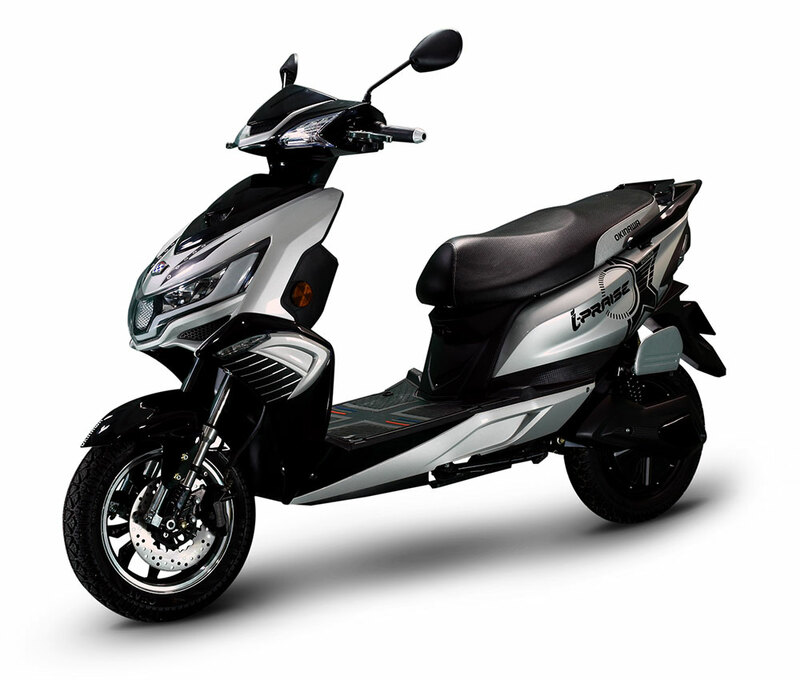 With its amazing and top-of-the-line features, the i-Praise is fittingly christened as ‘The Intelligent Scooter’. At an ex-showroom price of INR 1.15 lacs, i-Praise has already received an overwhelming response, clocking 450 bookings in its pre-launch phase. It will be available in eyeball-grabbing shades of glossy red black, glossy golden black and glossy silver black. Okinawa’s i-Praise boasts of several best-in-class features that are already creating ripples in the market. 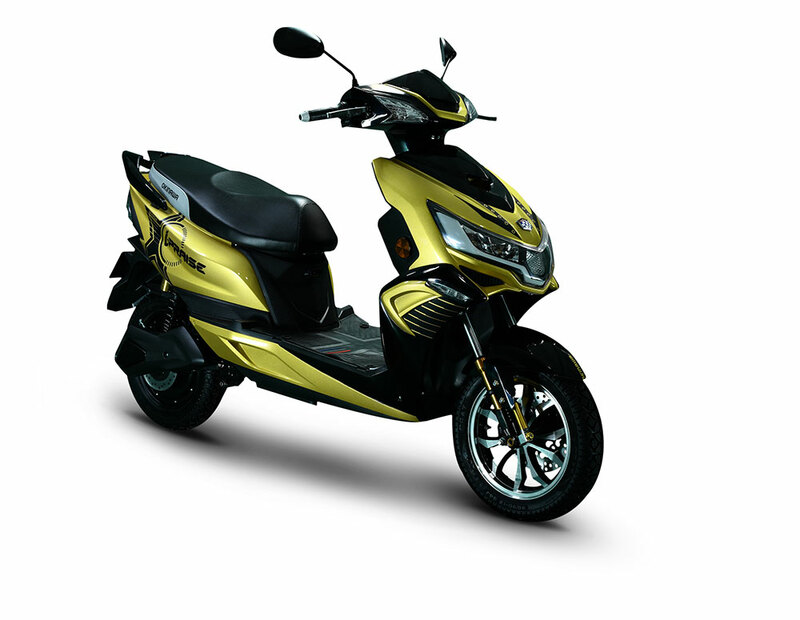 Foremost of these is the revolutionary, detachable lithium-ion battery that the EV is bringing to India. The battery used in i-Praise requires only a 5A power socket, making it possible to recharge even in areas with inadequate public support infrastructure for EVs. Residents in high-rise buildings, which are quickly becoming the norm across Indian cities, will also be able to charge their vehicles as conveniently as they can charge their mobile phones. Along with that, its superlative range of 160-180 km/charge and a reasonable charging time of 2-3 hours along with weight that is about 30-40% less than many of the other EVs in its category, make i-Praise a much-awaited introduction to India’s fast-growing market of sustainable mobility. Added to this is the trust and impeccable quality that is already a hallmark of Okinawa in India, making i-Praise a sure-shot winner. 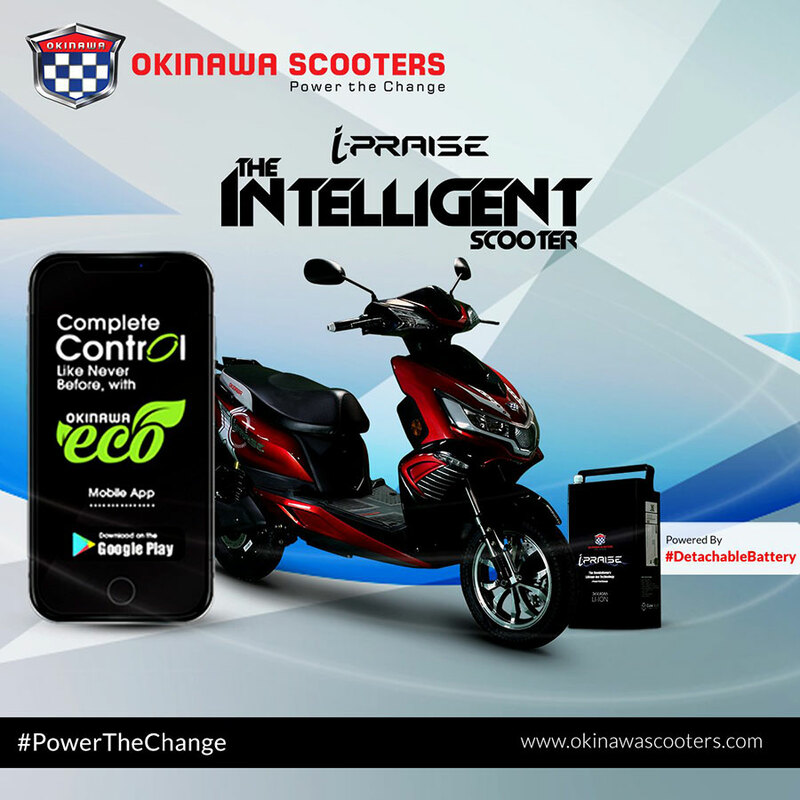 The team at Okinawa has pulled out all the stops to create a truly revolutionary product with i-Praise and we are delighted to see the incredible response that the EV has received even in its pre-launch phase. It is also a proud moment for us that an elite, forward-looking organization such as the Indian Navy has become the first customer for i-Praise. This not only demonstrates the strength of our product, but also encourages us to continue with our vision to innovate and transform the Indian automobile market. Demonstrating the growing acceptance of e-scooters across the country is the fact that a majority of the bookings for the revolutionary i-Praise have come from all cities at a pan-India level. Tier I cities such as Pune, Bangalore, Ahmedabad, Tier II cities like Bhopal, Nasik, Dehradun, Chandigarh, Ambala, Vishakhapatnam etc. and Tier III cities such as Mysore, Bulandshahar, Gorakhpur, Warangal, Trichy, Trissur etc. have been at the forefront of the demand for i-Praise. Geo-fencing-Allows the user to set a virtual perimeter, ranging from 50 m to 10 km, and to receive an alert anytime the vehicle moves beyond this space. It ensures vehicle safety from unauthorized movement. Virtual Speed limit-The ‘speed limit’ feature in i-Praise helps users to set speed thresholds for the vehicles. This especially helps parents to immediately get an alert message on the app to ensure they do not over-speed. Curfew hours-For those working late night hours or are sure to be occupied during a long meeting, the e-scooter’s curfew feature helps to set ‘no ride hours’ which will continue for the defined period till the user sets it off. Battery Health Tracker– An essential feature to help avoid helpless circumstances, it helps users keep track of the vehicle’s battery health. Users receive in-application notifications when the battery level goes below a set level. SOS notifications– To ensure the safety of the rider and the vehicle, the i-Praise is equipped with a SOS features through which you can add a few emergency contacts to the app. The listed people will receive a notification through message or mail in case of any distress call generated by the user. Continuous monitoring-The e-scooter also has a unique continuous driving behaviour monitoring system that observes the rider’s driving tendencies and provides continuous feedback. It also provides information on Hard Braking, Hard Acceleration, Hard Left Turn, Hard Right Turn and Speeding instance by driver and rates the performance of the driver over time. Trips-This feature enables the rider to check all the trips taken by the vehicle on a particular date. Users can see exact details of the trips such as start/end point, how many trips it made, how many Kms it travelled in the chosen time range. Directions-This GPS enabled feature helps you to get directions to your location and operates it via the rider’s phone. It automatically picks the rider’s current location as the start point. Maintenance / Insurance Reminder– This feature provides users with constant reminders regarding upcoming insurance payment cycles and periodic maintenance/servicing of the vehicles. Vehicle status-This feature shows an overall status of the vehicle, with different demarcations such as ignition status, battery voltage, current and average speed and immobilization mode status.